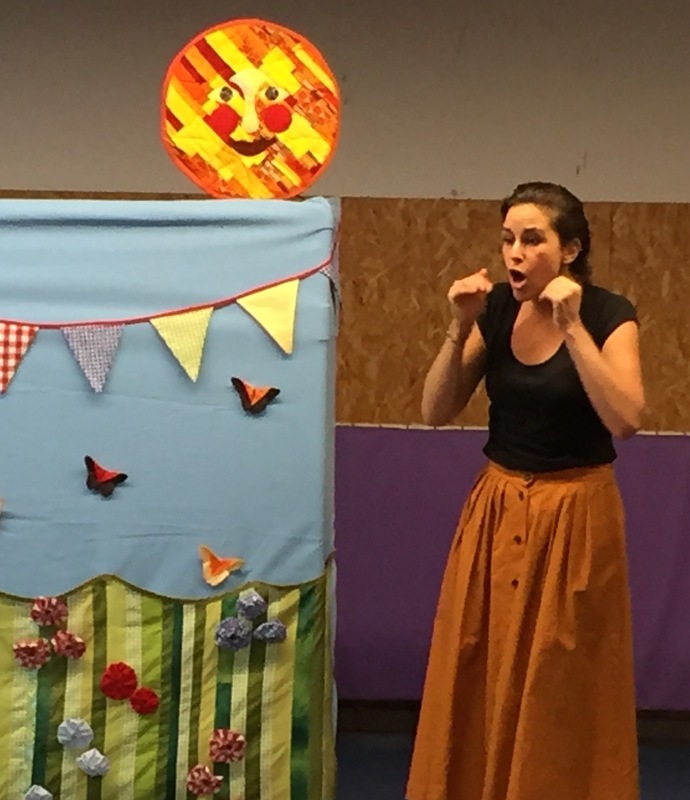 One actor but with all the audience interaction, charming objects, colourful set and easy to learn songs you’ve come to expect from Look Out! Theatre Company. Flora lives on a farm with a brown cow, a red hen, a pink pig, a white sheep and a brown and white llama. Everyday they go for a walk around the farm until one day Flora finds a little flower pot with a sprout. She wants to grow the flower. Shelby the llama has lots of ideas to help the flower grow but it is Belle the pig that has the answer. Students take part! 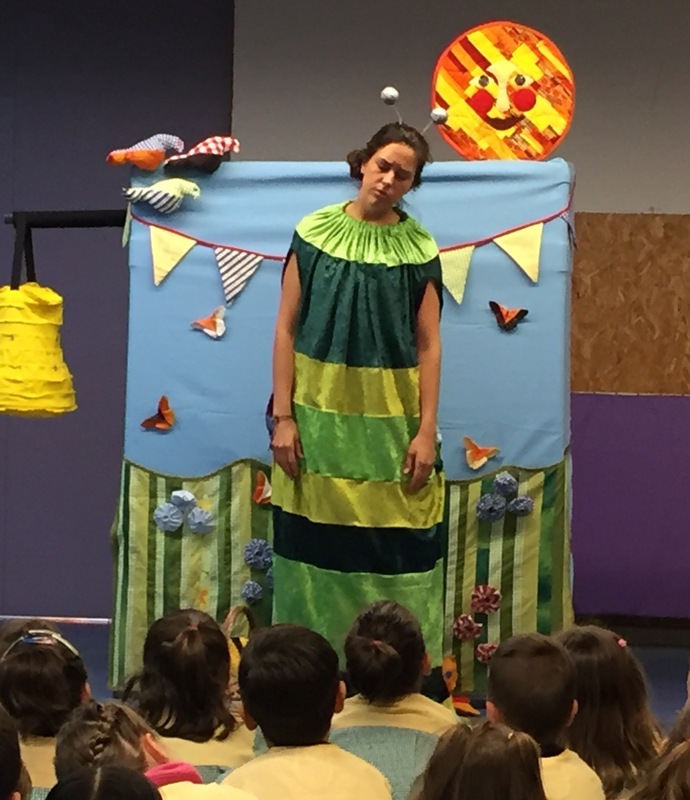 Encourage the flower to grow and practice the songs and actions before you see the show and then your students can sing along and do the actions with the actor. The Student worksheets includes colour the farm, matching the animals to the food they eat and how many? We really liked the play. The decorations are beautiful and the actress did a good job. She was very expressive. The play was nice, the vocabulary was easy to understand and the acting was really good. My students were amazed with the details such as the sun shining and the flower growing. The actress did a very good job and involved the students during the perfomance. She caught the students' attention at all times. My students enjoyed "The Little Flower Pot" very much. I particularly liked the songs and audience participation. We are super happy with your plays.